irade center), die E-Mail ist in Ordnung. die wir kürzlich hatte Keise gerade gesehen aut unserer. Norbert Lange was born in Gdynia, Poland, in 1978 and came to Germany with his parents in the 1980s, where he grew up in the Rhineland. He studies Art History, Philosophy and Jewish Studies in Berlin, then Literature at the German Literature Institute in Leipzig. In his poems he seeks an “intensive exchange with the voices of the poetic tradition and the poetic energies of poetic predecessors. What emerges is enormous poetic friction heat” (Michael Braun). Since 2008 Norbert Lange has been living in Berlin. 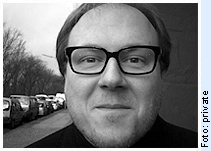 He is a founder member of the ‘Lyrikknappschaft Schöneberg’ and was editor of the trilingual literary magazine radar. In 2009 and 2010 he led the poetry chat in eMultipoetry, a European project for collectively writing poems. Poetologien von "Ein offenes Ohr" bis "Zum Lesen in geschlossenen Räumen"